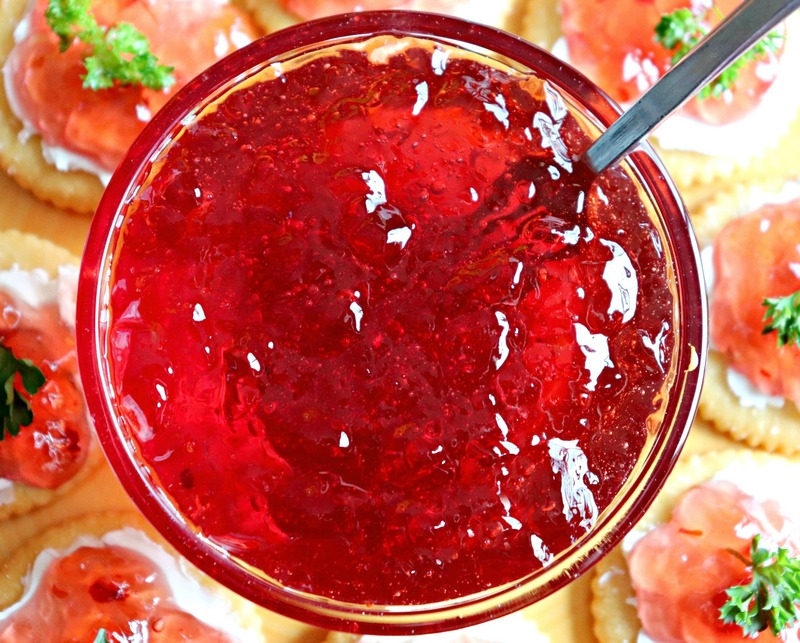 You can’t start a party without a good hot cherry pepper jelly in your arsenal of appetizers. Paired with soft goat or cream cheese and crackers, it’s an epic experience! It draws people in like flies and causes normally discreet friends and family to shovel and gorge. I make hot pepper jelly myself and I must say that the cherry is a nice touch to the peppers. It is sweet and hot at the same time. Great over cream cheese.